The Museum of the Bible and Worthy Publishing have worked together to produce the Global Impact Bible. 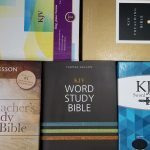 A unique study Bible that instead of focusing on doctrines or using the Bible for personal guidance focuses on the impact the Bible has had on the world. 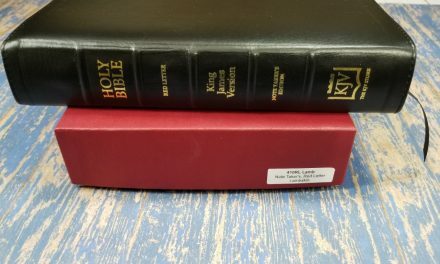 They have chosen to use the ESV translation. 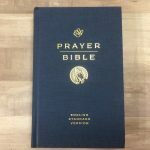 Worthy Publishing provided this Bible free for review. I was not required to give a positive review, only an honest one. All opinions are my own. The Global Impact Bible is available in hardcover and Leatherluxe. It measures 9.5″ x 7″ x 1.75″ and weighs 3 pounds, 2 ounces. It has a sewn binding. The paper is around 30 gsm (uppper 20s?, low 30s?) and decently opaque. They have done a good job of balancing weight of the Bible versus show-through. I had no trouble turning the pages. It is set in a two column, paragraph format with the words of Christ in a fairly bright red. It has a 10.5 point font. The darkness of the print is consistent throughout. Poetry is set in stanzas and quotes are offset to make them easy to spot. The chapter numbers are in a slightly more muted red ink. The header contains the page number in the center and the reference verse on the outside corner. The footer contains translation notes separated from the text by a thin line. The Global Impact Bible has a 12 part topical reading plan. They’ve set it out as a yearly plan with a focus on a different impact theme each month (Commerce only gets one month, while the various aspects of the Arts get four.) As the editors point out you could easily read them in the order of your interests instead or use one months list as a study on the topic. Each day has a verse or chapter of the Bible and a reading about it’s impact. These readings cover all the major themes included in this Bible. After having read one article a day for a year you’ll only be about a third of the way through the impact articles. The over 900 articles on the various ways the Bible’s impact has been felt all over the world is the core of this Bible’s study material. It is divided into 7 major areas of impact. All of these articles are short and easy to read. Most Bible readers will find many things they already knew were Bible based. I believe most of them will also find things they never stopped and thought about being connected to the Bible and at least a few things that they were unaware of the Biblical connection. When unbelievers talk about doing away with the Bible they truly have no idea just how many things have been influenced or inspired by it. Since it has touched almost every aspect of our culture are lives would be a lot less full and meaningful without it (or and at least vastly different). To help you find all the articles 2 types of indexes are included. The first is indexed simply by categories and has a list of every page an article in that category appears. This might make a useful checklist to see if you’ve read them all. The second is an index placing each article under every subject covered in it. This one is much larger and most articles are in it more than once. The editors gathered the information from numerous sources. A complete list of credits for articles and artwork is included, indexed by article title, in the order the articles are found in the Bible. On many of the pages that don’t contain articles you’ll find various quotes about the Bible. The quotes are from a wide variety of people. They’re done in a smaller font, in the same muted red as the chapter numbers, and can be found between the two columns. A brief description of the Museum of the Bible is included. As is the Preface to the English Standard Version (ESV) translation. I always like when they include the translation information. One of the features listed on the dust jacket is 4-color maps but I have to confess to not being able to find them. Overall Global Impact Bible is a very nice study Bible. I really enjoyed thumbing through it and reading the articles and quotes. 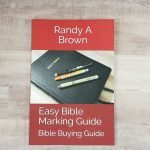 It is an excellent choice for those who already own more than one Bible since the information contained is so much different than what would be in their other Bibles. It is very useful for exploring the magnitude of influence the Bible has had on the world.